No mystery is too great for super-sleuth Cam Jansen and her amazing photographic memory! Mysteries follow super-sleuth Cam Jansen everywhere she goes… even to the airport. 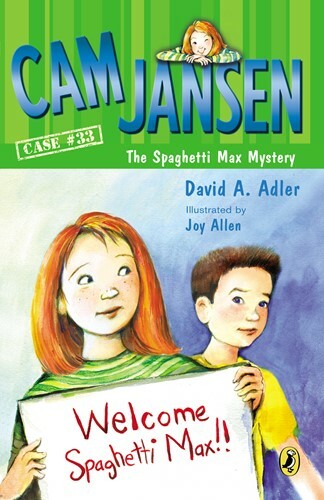 Cam and Eric go with her father to the airport to meet “Spaghetti” Max, her father’s best friend from childhood. While they’re looking for him, a distressed traveler asks Cam to help him find his missing daughter. But what use is Cam’s photographic memory if she has never seen the missing girl? And where is Spaghetti Max? Can Cam solve this double mystery?